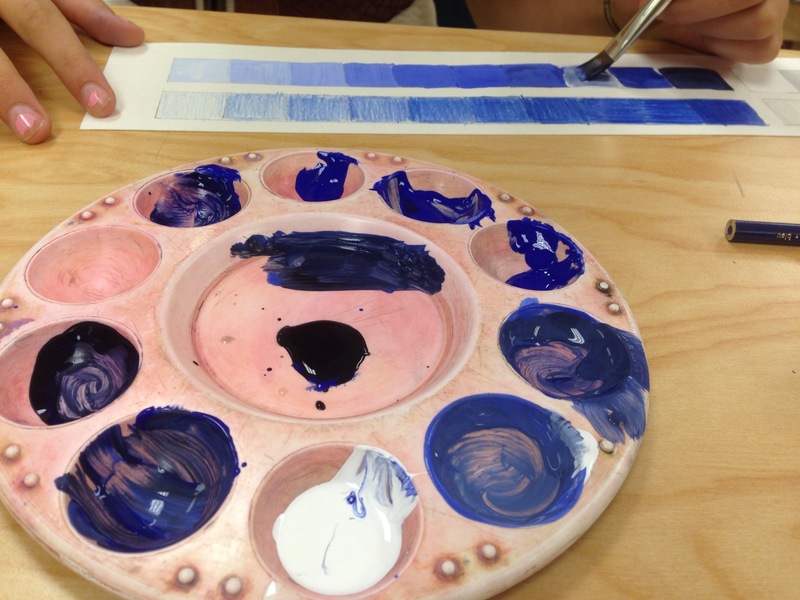 A great way to reinforce color and use up scrap paper. 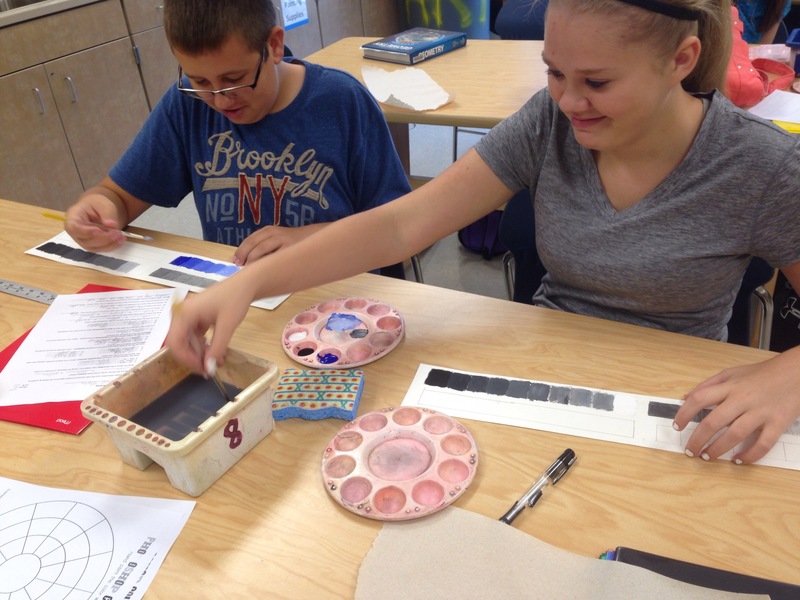 Students in Painting 1 created 4 ten box areas to color. 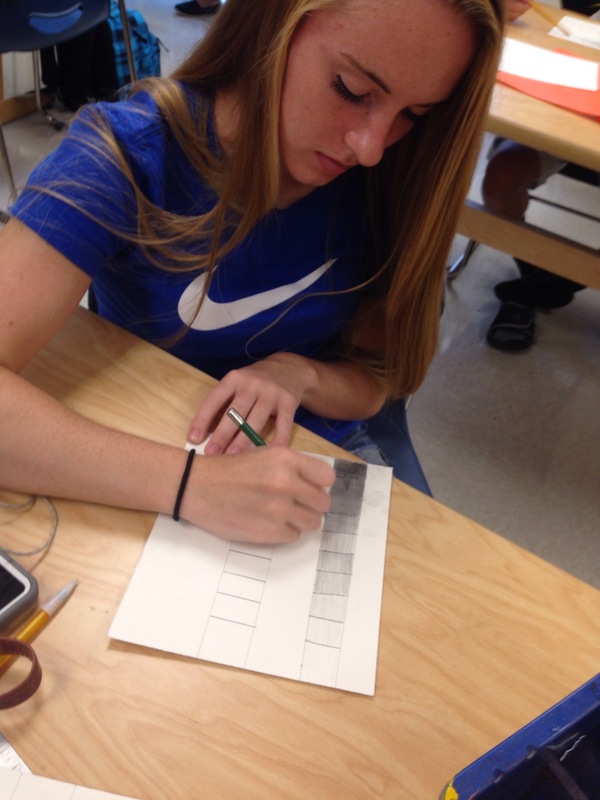 They used black and white paint, colored paint, colored pencil and drawing pencil. 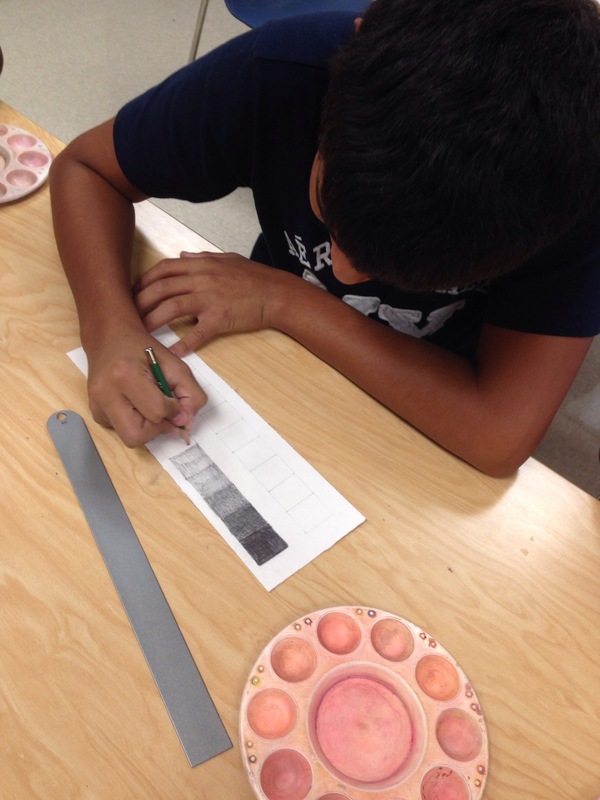 Students created examples of shades and tints. This will translate into their larger paintings.